The purpose of this STAMP COLLECTING website is to provide general information for visitors that may be interested in collecting stamps and to provide the specialized information needs of more advanced stamp collectors and philatelists. Postage stamps not only represent the development of letter mail systems over the last two centuries, but they also reflect the full range of history, art, and culture, from the beginnings of our global civilization. It is my love of history, as well as my love of philately, that drove me to collect stamps (about 60 years ago) and to create this website (almost 10 years ago). The focus of this website is the classical (1840-1900) and early modern (since 1901) philately of Europe and North America. In the beginning, I had envisioned a worldwide philatelic site, but it quickly became evident that composing and maintaining a site of that scope, for all the countries that have existed since 1840, was far beyond the capabilities of a single person. After almost 10 years of development and over 930 content pages, the website Collecting section includes just about every stamp-issuing country in Europe and North America. In the very near future, I will be able to move into the improvement and maintenance phase. That is, being able to begin revising and improving the text content of some of the older categories and being able to start adding new Information and Collecting page content to the existing website categories, something that I've wanted to do for a long time. Please check back often, to see if new text content has been added, or subscribe to the site RSS Feed, for notification about ongoing changes. The take-out box below is also updated during the current month, featuring news about recent website additions and changes. France Category - Added a new page for Commemoratives of 1900 - What Happened ?. The new page features Cinderella stamps for the two extremely important events that took place in Paris during 1900 for which no French commemorative stamps were actually ever issued! Germany Categories - Added affiliate ads for the publisher of Michel stamp catalogs to most of the Germany category pages. Michel catalogs are the most important reference books for anyone seriously specializing in any of the countries of Central Europe. When the visitor enters the site, which is in German, there is a button at the top of the page that will take the visitor to the English language version. Poland Category - Added a new page for Polish Corps in Italy stamps. In writing content for the various stamp Collecting categories, I have had to do quite a bit of research. Google search and Wikipedia have become my best friends during this effort! In searching many philatelic websites for information, I have found it very frustrating that all I seem to locate are retail websites that are primarily interested in selling stamps or philatelic products. Many of the websites containing educational or technical information about collecting stamps require the visitor to register and provide personal information, which can eventually wind-up in the hands of commercial email, commercial letter mail, or telemarketing advertisers. In some cases, these philatelic websites even require the payment of a subscription fee, which could place your financial information at-risk! I would think that restricting the access to important information for visitors with a casual interest in collecting stamps would tend to frustrate them and to drive them away from the hobby, rather than to attract them to the hobby. Education comes first, and access to educational information should be FREE. Someone without a substantial knowledge-base in stamp collecting is probably not going to be "buying" anything from a retail site, especially expensive stamps. For the buyer that doesn't have sufficient knowledge about the material they are purchasing, doing so can be dangerous and very disappointing in the long run! The button-bar section, at the left, contains important information about the various aspects of stamp collecting. The Information section category pages feature content about collecting stamps, using the proper tools for handling and identifying stamps, stamp albums, philatelic catalogs, buying stamps, and selling stamps. The Collecting section category pages feature historical articles and technical reviews of all the classical and early modern stamps issued by each of the countries. If the visitor should find the content of this stamp collecting website useful and know a fellow collector, or someone that may be a potential collector, please let them know about the site. The images on this home page will be changed periodically. 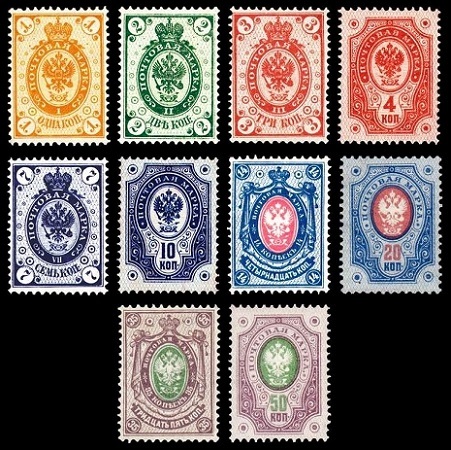 Most of the images pertain to the website collecting sections that feature those particular stamps or similar stamp issues. This website DOES NOT BUY, SELL, OR APPRAISE stamps or stamp collections. There are guidelines for both buying and selling stamps, through other business resources, that visitors can follow, which are located in the Information section of the navigation bar at the left. It is strongly recommended that collectors sell their collections through local dealers or auction houses. Mailing collections, especially internationally, is very expensive and very dangerous. 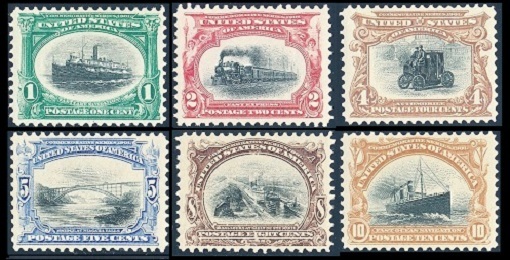 Such collections could be damaged or lost in the mail, and the overseas shipping costs can be more than the wholesale value of the stamps being shipped. In most cases, it is impossible to evaluate the authenticity or condition of a stamp from a scanned image, so sending scans of collection items is not useful in this respect. 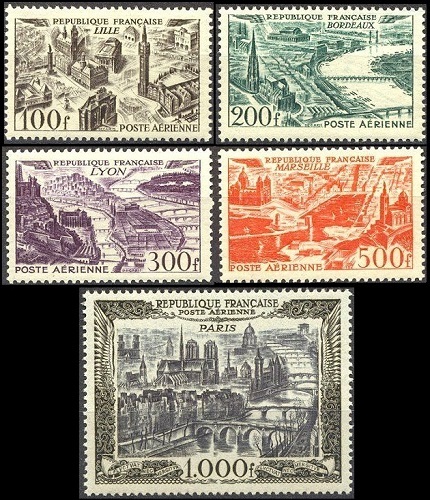 The stamp images shown within the Collecting categories of the navigation bar are there for illustration purposes. Those images are either from my own collection or from other internet resources, and those stamps are not for sale. Many of the Collecting sections also have links to affiliated eBay seller listings located near the bottom of the content section, which will enable visitors to shop for and to buy specific items for the particular collecting subject they've just read about. Some other sections will feature outgoing links to affiliated sellers and product manufacturers for stamp collecting books and supplies. The links to affiliated eBay seller auction lots in this site, provided by eBay, Inc., and other outgoing links to commercial retailers are not the responsibility of the management of this website.